In late 1941, Simon and Kirby would leave Timely Comics after a dispute with publisher Martin Goodman. Goodman assigned the young Stan Lee to become the interim editor. 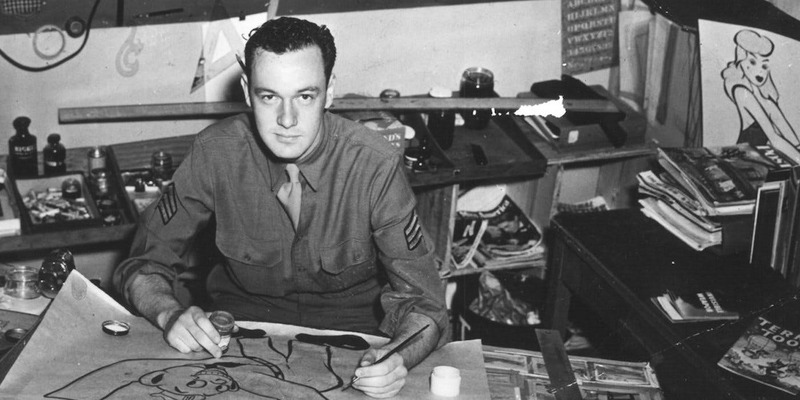 Stan Lee served in the US Army Signal Corps during WWII from 1942-1945. Photo from the @USArmy Twitter account. Lee went to serve in World War II shortly thereafter in telecommunications repair. He was transferred to the Training Films Division, where he developed content such as manuals, training films, slogans and cartoons. Lee returned to his job at Timely and stayed with them until they evolved into Atlas, where he wrote comics of various genres including western, romance, science-fiction, horror and more. But by the end of the 1950s, Stan Lee was burnt out from writing comics and contemplated quitting the field. Envious of the successful revival of The Flash and the new superteam comic Justice League, Goodman told Lee the company needed to develop a superhero team of their comics. Still feeling burnt-out, Lee’s wife advised him to try writing the comics the way he wanted to: not as gods, but instead as flawed humans who also had everyday, domestic lives. Reuniting with Jack Kirby, Lee and Kirby created the Fantastic Four (1961). From there, Lee and Kirby continued to create the iconic heroes The Hulk, Iron Man and The X-Men. With Larry Lieber, the three created Thor. Several of this shared universe’s characters would become the Avengers, which would also revive Captain America during the Silver Age. Lee also created Daredevil with Bill Everett, and Doctor Strange and Spider-Man with Steve Ditko. One of Marvel Comics’ unique traits was the Marvel Bullpen Bulletins, which served as editorial and letter page of each comic. Lee thought this would develop a sense of community between readers and creators. Fans felt more connected to the stories, and creators regarded as approachable humans. Not everything written in the Bulletins was about promoting comics. Lee used the platform to speak what was on his mind. 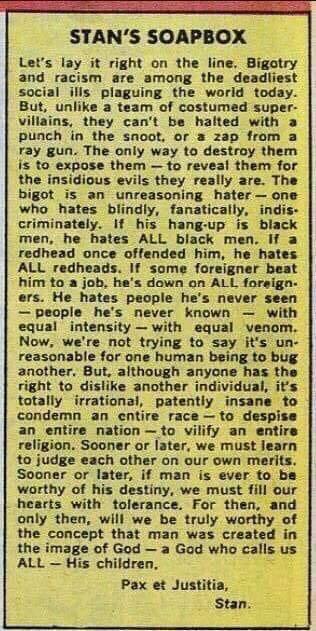 He had a sense of social justice and used the opportunity to communicate his thoughts in Stan’s Soapbox. In the age without social media, Lee shared many of his thoughts without the help of Facebook or Twitter. Some were funny, some were informative, and some political. Lee pulled no punches when he wrote several Soapboxes on racism during the American Civil Rights Movement, and people still quote these short essays by Lee to this very day. With John Romita Sr., The Amazing Spider-Man dealt with social issues that would affect Peter Parker in his daily life. Student activism, politics, death, and the Vietnam War were some of the topics that came up. These issues were used to shape Spider-Man as a character. Adding to this narrative, Lee and Romita Sr. introduced of Robbie Robertson in The Amazing Spider-Man #51, the first African-American character in comics to have a serious supporting role. 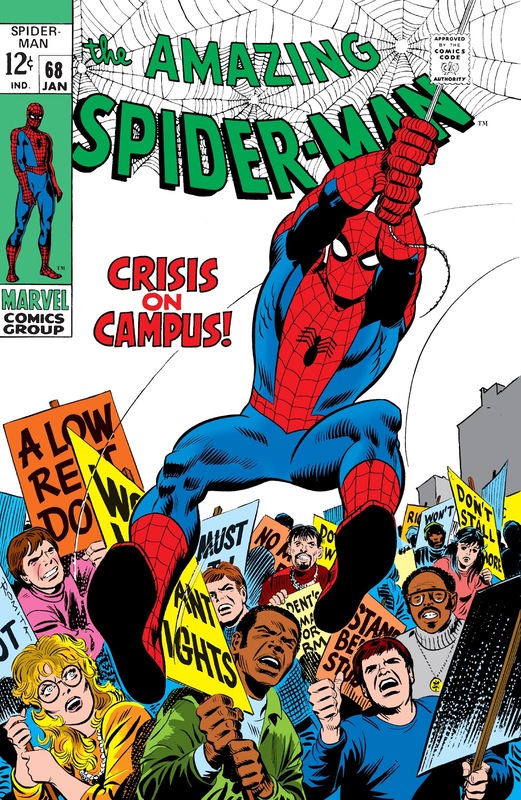 In Amazing Spider-Man #96-98 (1971), Stan Lee was contacted by the U.S. Department of Health, Education, and Welfare to create an anti-drug comic book. Harry Osborn became addicted to prescription drugs when his love interest Mary Jane Watson showed interest in Peter Parker. The comic depicted Harry Osborn popping pills. “Green Goblin Reborn” was submitted to the Comics Code Authority, with Lee assuming would pass since the story was supported by a government administrative body. However, the Authority denied their seal of approval for the comic. Lee went to print without the seal and the comic won praise for its anti-drug message. Because of this, the Comics Code Authority would revise and loosen their regulations. In 1972, Stan Lee took on the role as publisher. For a brief time, Stan Lee was President of Marvel, but did not enjoy the promotion so he returned to his duties as publisher. In the 1980s, he moved to California to work on Marvel’s TV and movie properties. But he continued to write comics during that period, creating the She-Hulk in 1980 with John Buscema, doing a Silver Surfer miniseries with Moebius and The Enslavers graphic novel with Keith Pollard, among other comics projects. Eventually, he also started working on projects outside of Marvel; he’d go on to work with DC Comics on the Just Imagine series, where he put his own spin on their most popular characters, and also worked for publishers like BOOM! Studios and Virgin Comics. Stan Lee also spent his later years dabbling in multimedia projects like the raunchy television animated series Striperella starring Pamela Anderson or a brief dabble on YouTube with Stan Lee’s World of Heroes. One area of controversy tied to Lee throughout his career were the roles he and the artists he worked with played in creating characters in the Marvel Universe. His role would be called into question throughout the years by Jack Kirby, Joe Simon, and Steve Ditko, among others. Lee also sued Marvel itself to fulfill contractual obligations because of the surging box office returns. That matter was settled out-of-court. 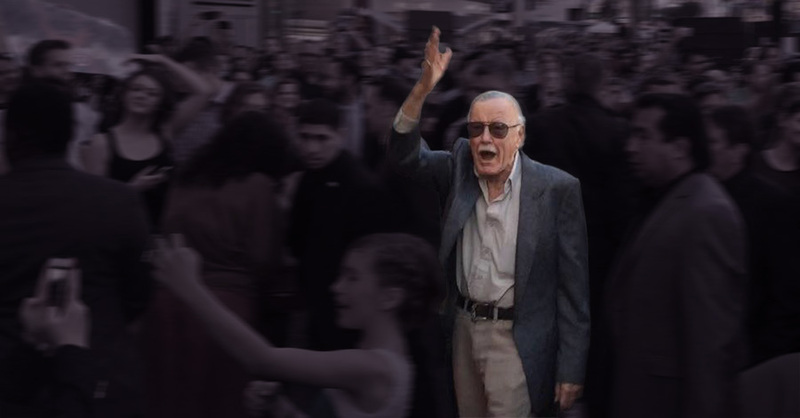 In the last decade, Stan Lee has been elevated to a pop culture icon as his cameos in the Marvel Cinematic Universe has made him a recognizable face to the general public and newer generations. This recognition sells out Stan Lee at comic conventions, whose autograph and photograph lines are long and seemingly endless. When news of his passing hit social media, I have never seen my newsfeeds universally as sad for one person’s passing as I have with Stan Lee. Stan Lee is not only the face of Marvel Comics. He is the face of the Comic Book Industry. In the eternal words of Stan Lee, Excelsior! Our featured image of Stan Lee on the Red Carpet for ‘Captain America: Civil War’ was taken by Mike P. Gutierrez (2015). Used with permission.